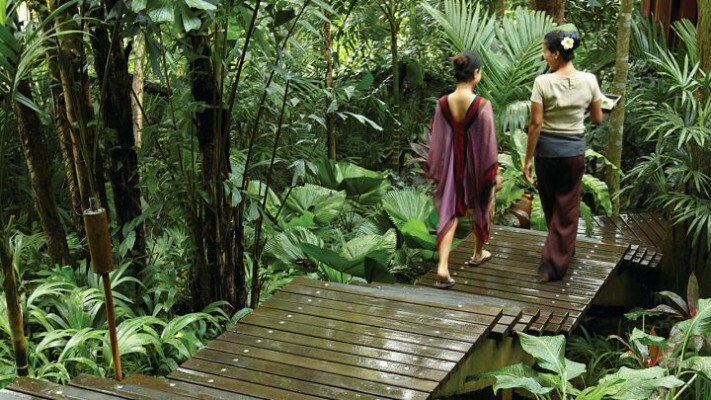 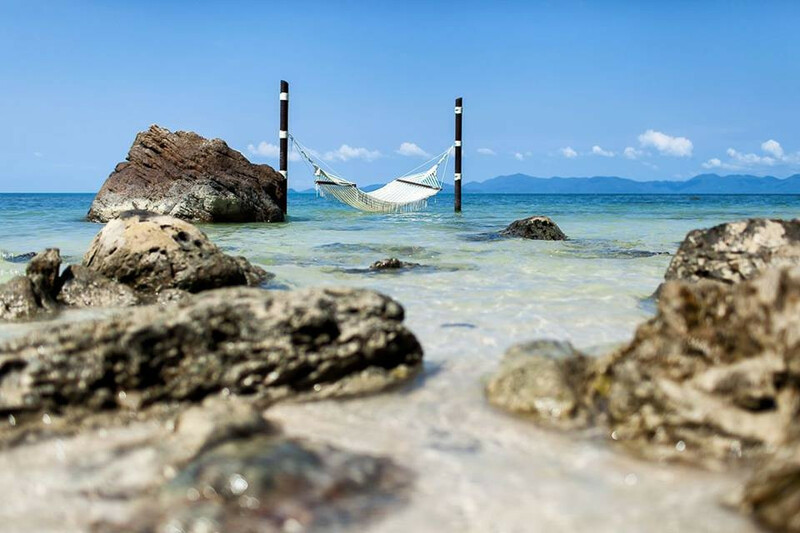 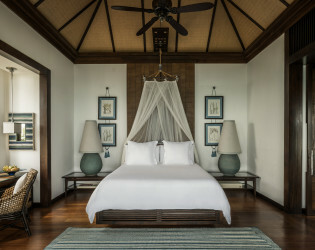 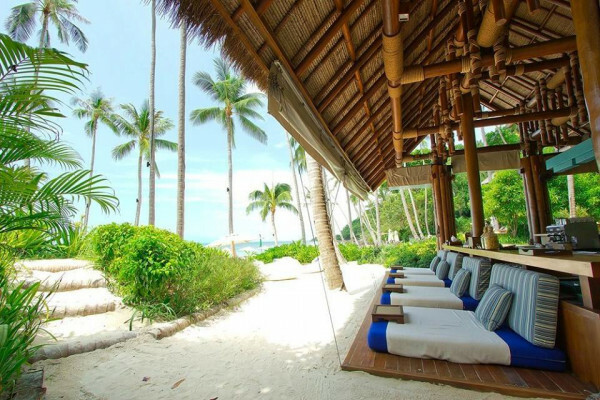 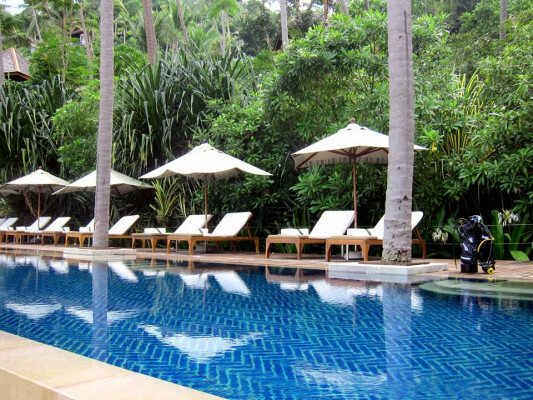 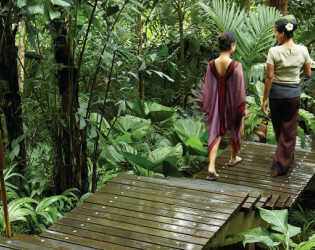 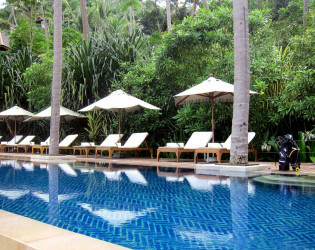 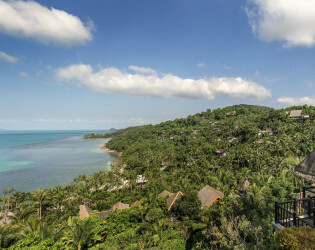 Kick back in the coconut groves of Koh Samui and let your senses be seduced by the fabulous Four Seasons. 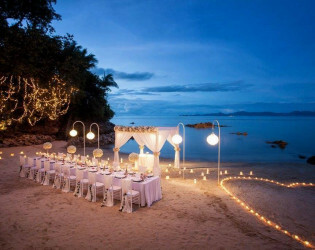 With a table set for two in the shade of palm trees, the gentle sound of waves, toes in the sand, and a secluded beach accessible only by boat or secret staircase... wonderful isn't even the half of it. Four Seasons Resort Koh Samui is located on the North Western tip of Laem Yai Bay on Koh Samui, Thailand’s third largest island. 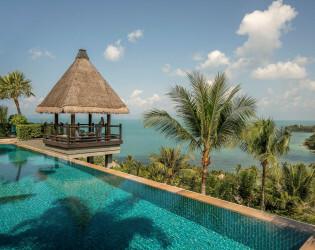 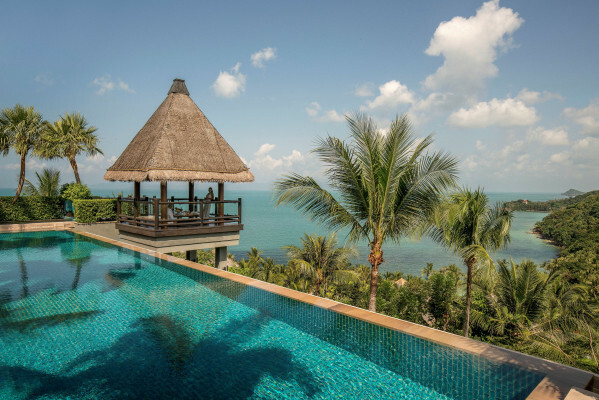 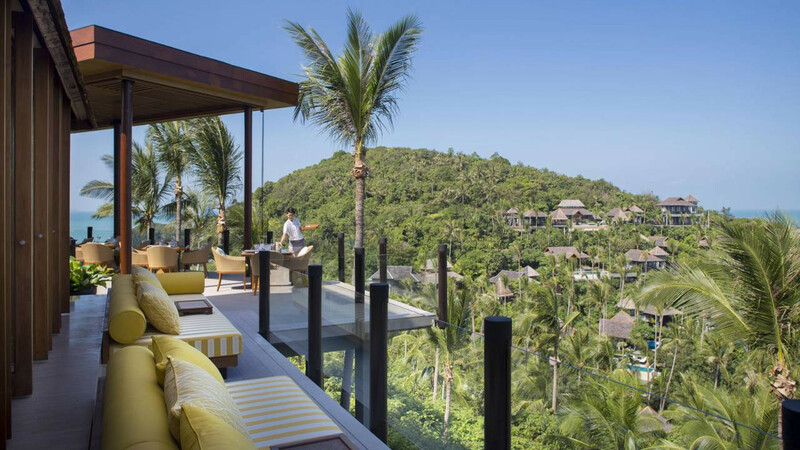 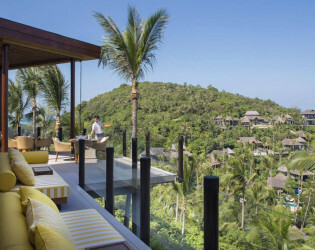 Nestled in a natural amphitheatre facing a small cove and the Gulf of Siam, the Resort offers spectacular views of the surrounding islands and the private beach. 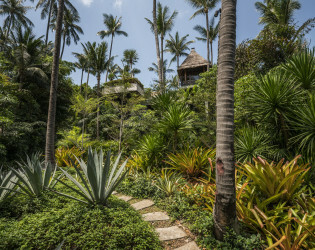 Rum Vault - Meet around the tasting table to sample flights and compare labels in our intimate Rum Vault, Asia's first and only library of rums from across the world. 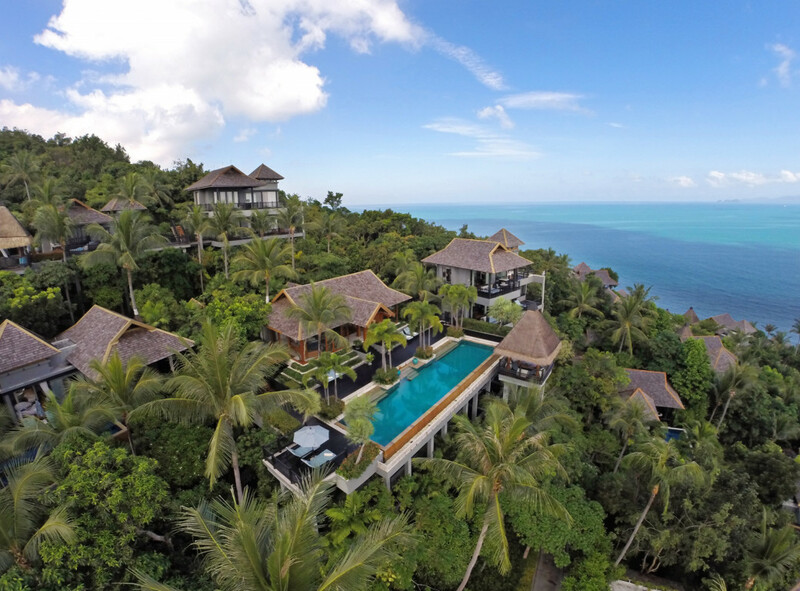 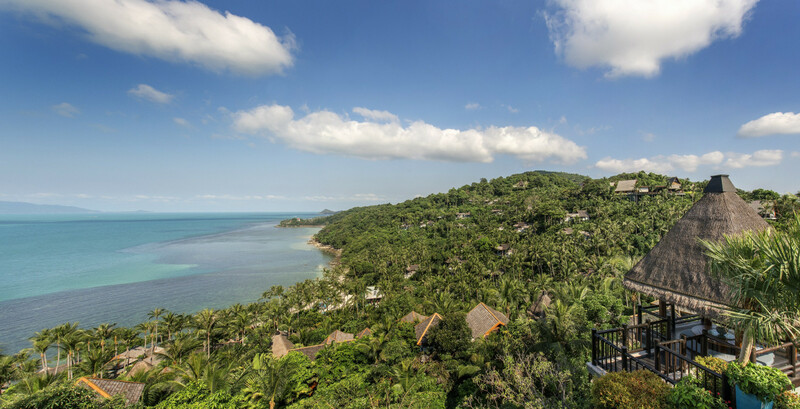 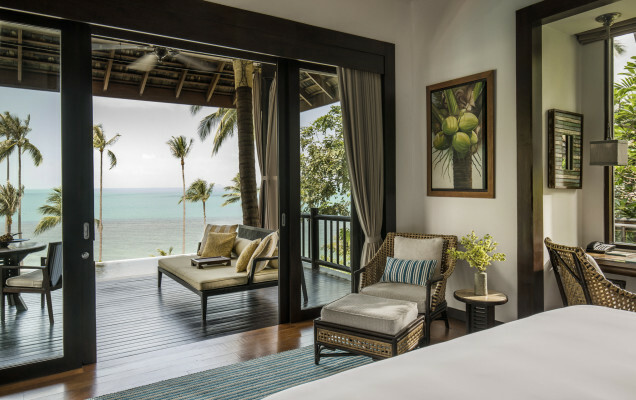 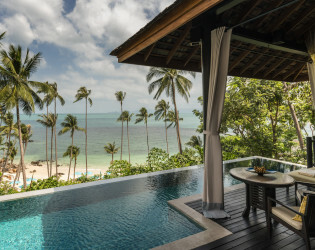 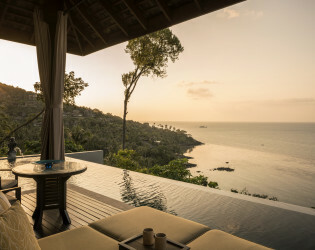 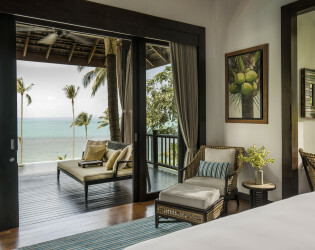 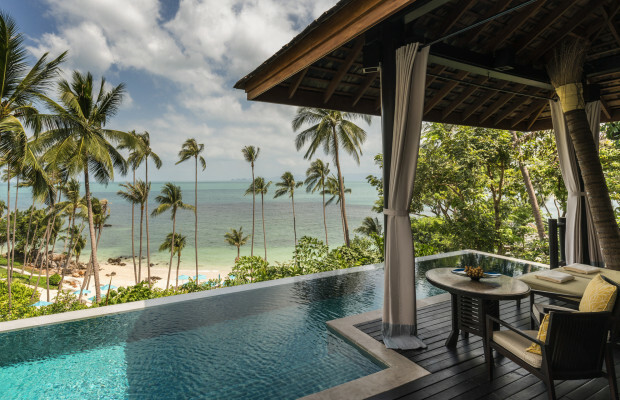 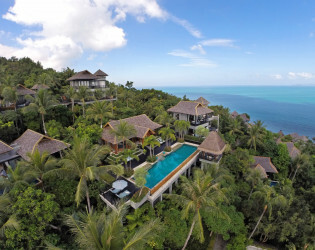 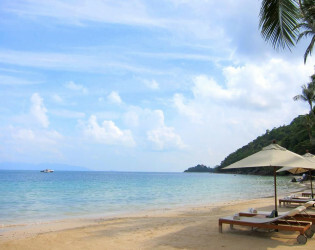 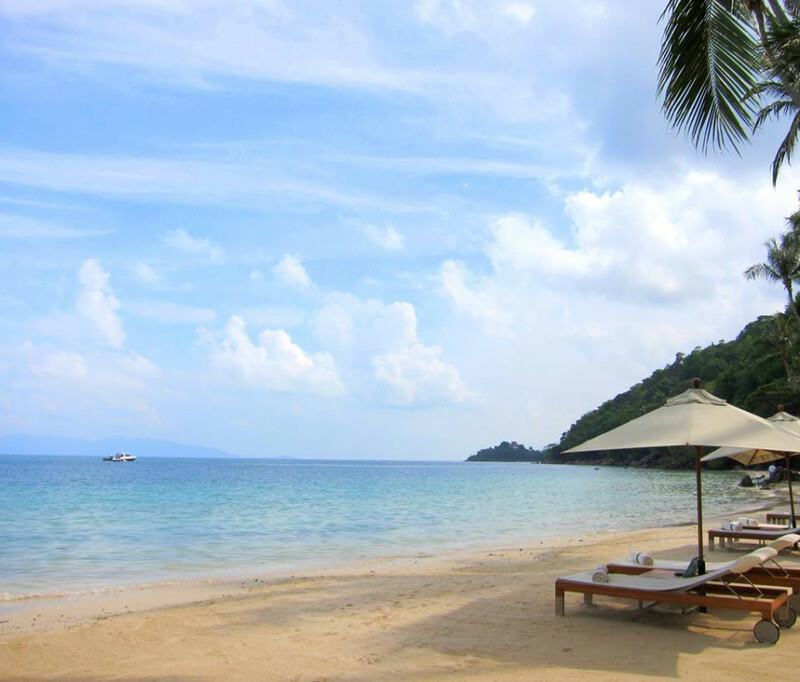 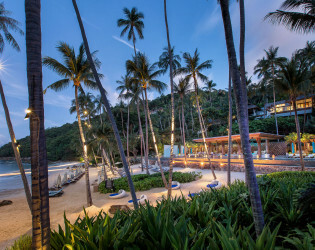 Set along a stretch of pristine beach at the northwest corner of one of Thailand’s most beautiful islands, Four Seasons Resort Koh Samui offers away-from-it-all relaxation and endless water activities. 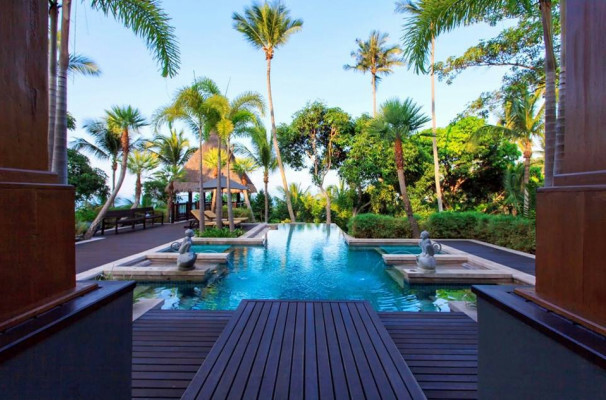 The island’s main attractions, including historic temples, are a half-hour drive, and Santiburi Samui Country Club is just a 15-minute drive. 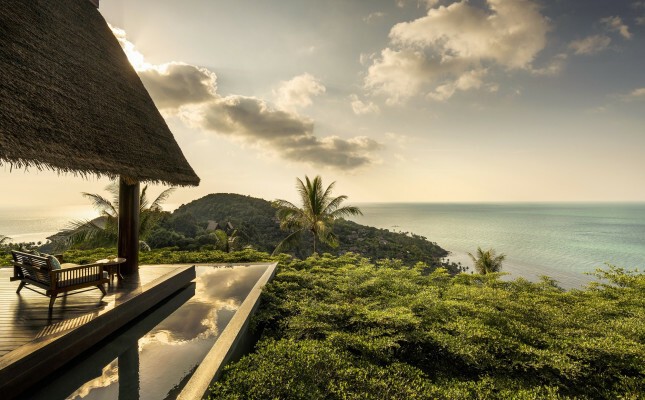 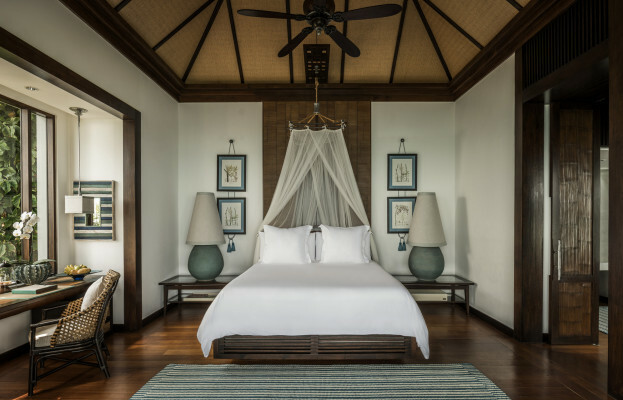 The Resort is designed based on traditional Thai architecture, with thatched roofs, indoor/outdoor spaces and colors of the sea. 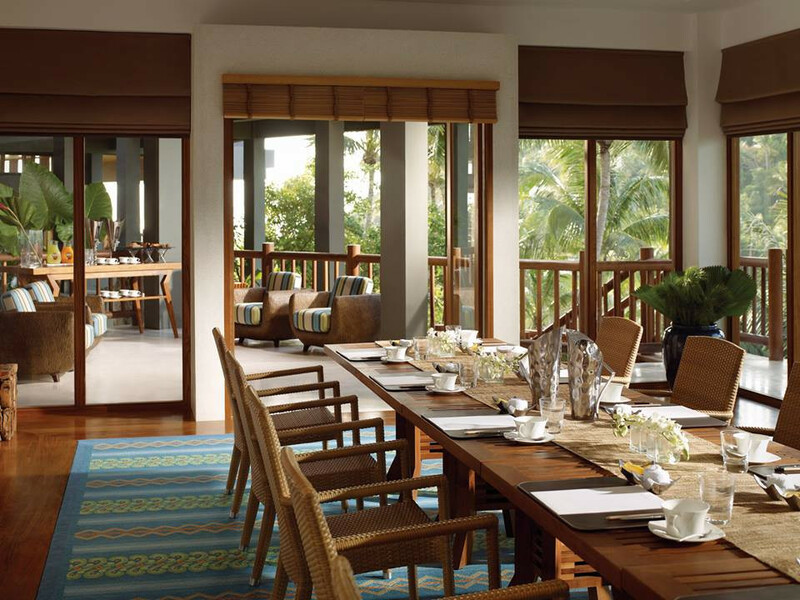 Soaring teak doors open to revel an idyllic meeting space - an away-from-it-all terraced resort on the mystical Gulf of Thailand. 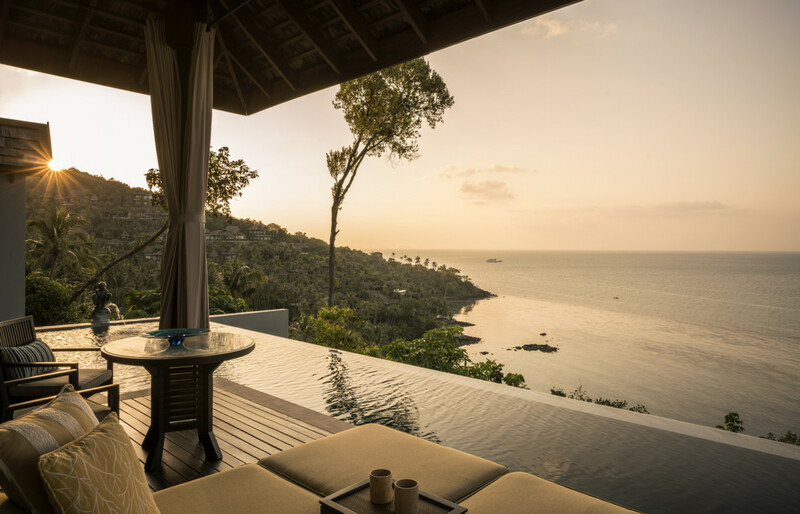 Hillside Thai villas, each with an infinity pool, cradle you in chic, alfresco living spaces amidst an amphitheatre of sky, sea and islands. 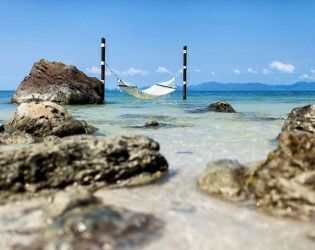 Guests can enjoy a variety of beach and water activities, as well as refreshing amenities while relaxing at the Resort's main beach free of charge. 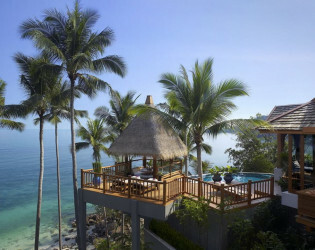 We have onsite tropical cocktail class where guests are invited to learn the secrets of mixing exotic tropical cocktails. 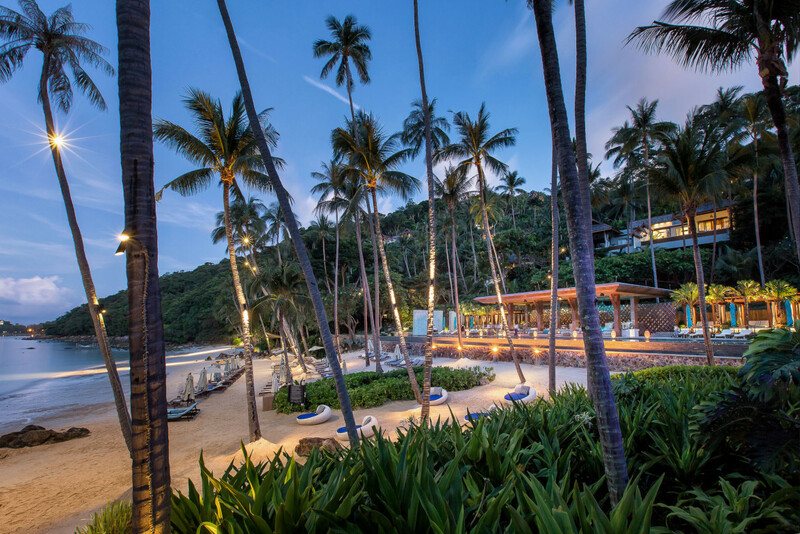 With an onsite Muay Thai or Thai kickboxing ring, guests can enjoy the panoramic view of the ocean while learning "the Art of Eight Limbs," and at night be mesmerized as you watch a class movie on the edge of the ocean, under a canopy of stars on our movie under the star nights. 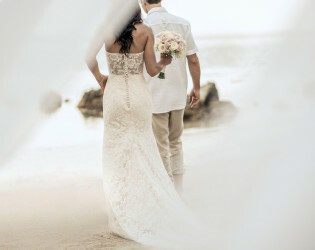 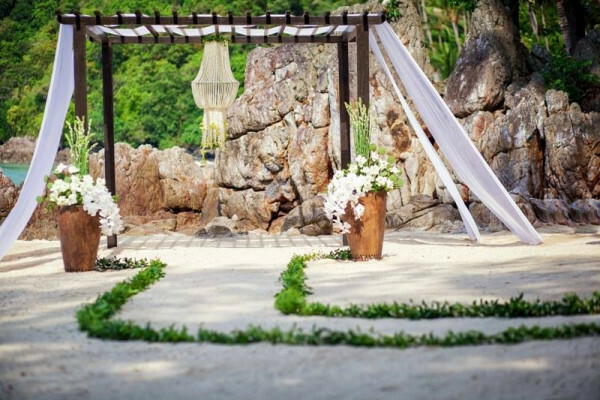 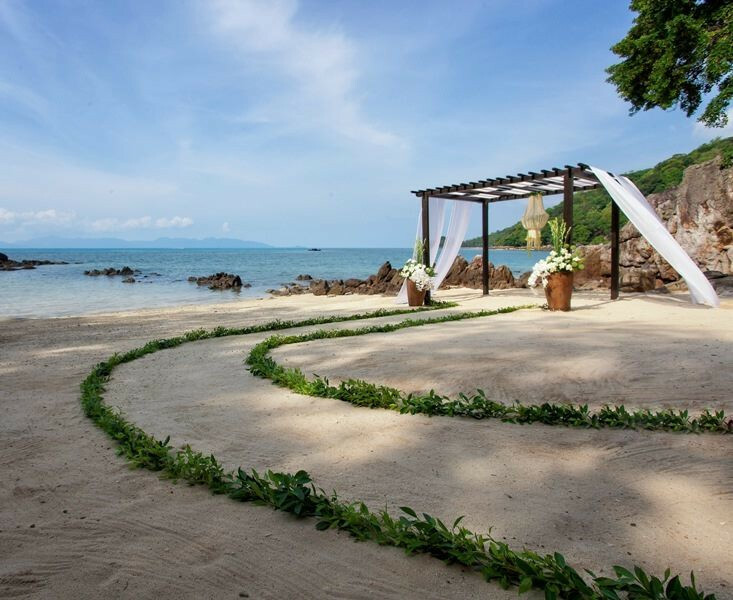 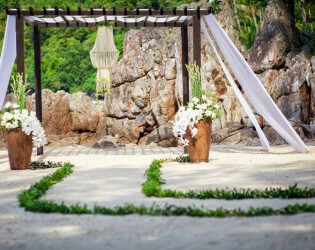 Hidden and secluded from the Resort’s main beach, private Castaway Cove is especially ideal for an intimate wedding ceremony. 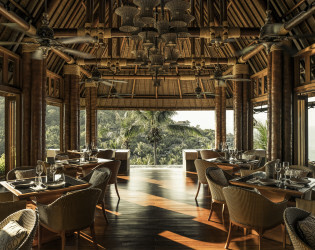 Offering panoramic views of the ocean and surrounding islands, the Residences are ideally suited for private gatherings ranging from cocktails follow with intimate dinner by the private pool, to hi level corporate meeting in the air conditioned living room. 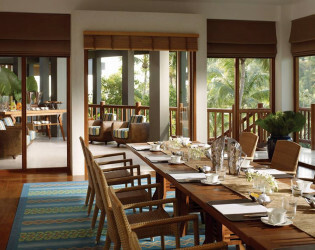 Stunning views and modern comforts help perfect your meeting experience. 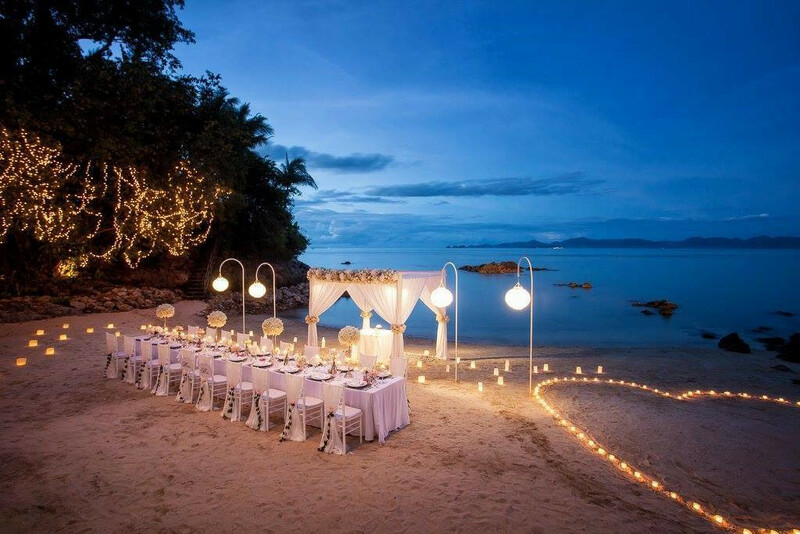 Whether it is for a casual BBQ or a formal sit down dinner, the secluded beach, flanked by rows of coconut tress, is perfect for such occasions. 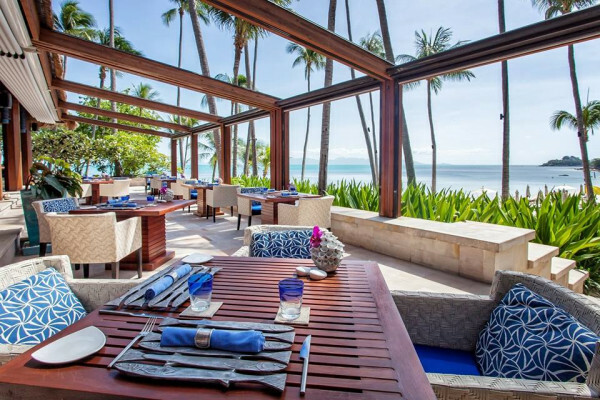 Koh Thai Kitchen & Bar Features authentic flavours from the islands, along with great wines. 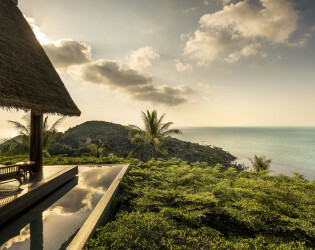 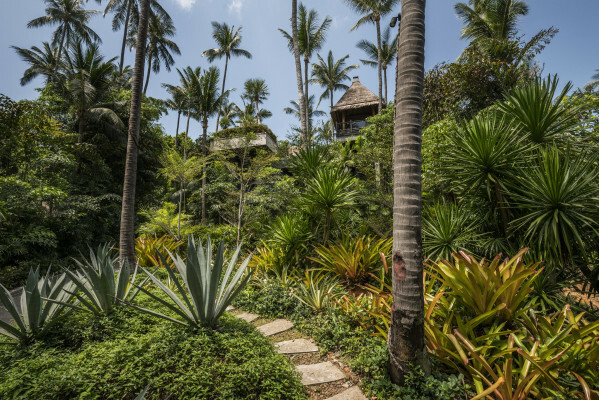 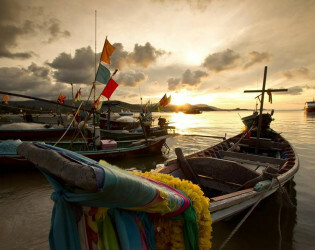 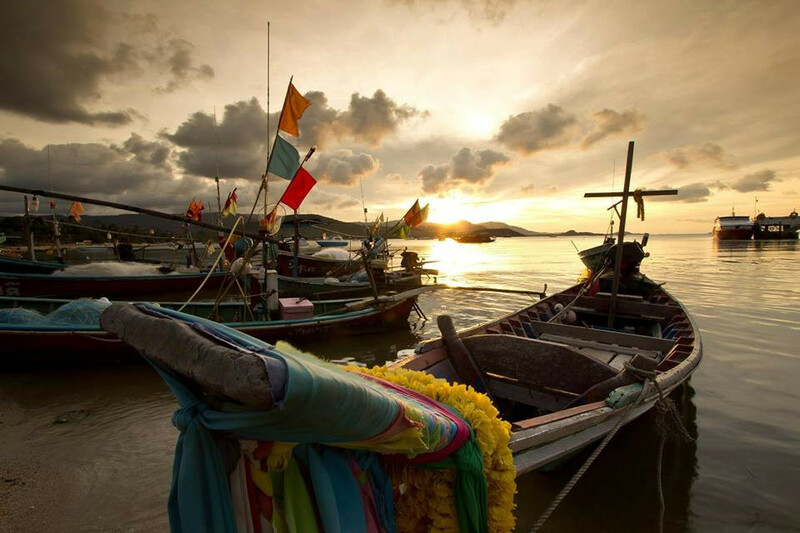 Located amid a plantation of coconut palms and cooled by breezes from the Gulf of Thailand, KOH offers a setting and ambience like nowhere else on the island. 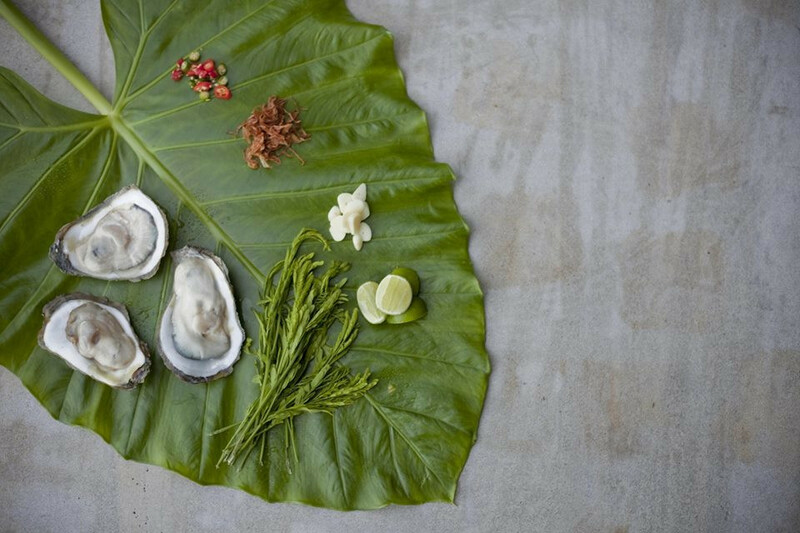 Helmed by Executive Chef Alex Garés, KOH’s kitchen is a creative workhouse for authentic Thai cuisine, offering flavours that speak for themselves. 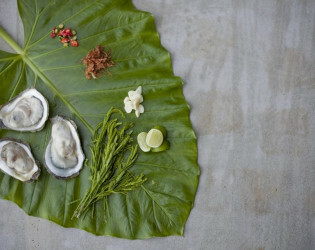 Pla Pla – Pla Pla is the Thai word for ‘many fish,’ suggestive of the Restaurant’s seafood theme. A cascading dramatic backdrop of white Thai sandstone carries over to the terrace floor and defines Pla Pla’s character as a casual beachside restaurant. 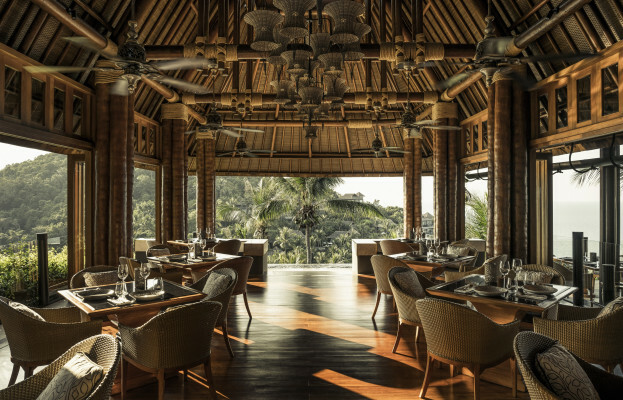 In-Villa Dining – The privacy afforded by the Resort’s accommodations makes in-villa dining an attractive option. 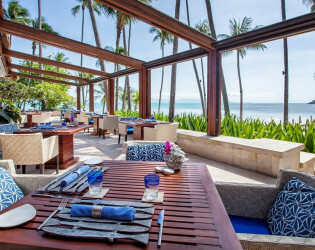 The menu offers a wide selection of dishes distinctly different from the specialties available at the Restaurants. 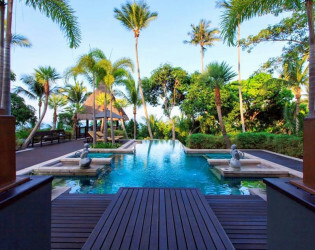 Available 24 hours a day, guests may relax over breakfast on their pool deck or enjoy a private romantic dinner under the stars – perfect for those who want to get away from it all. 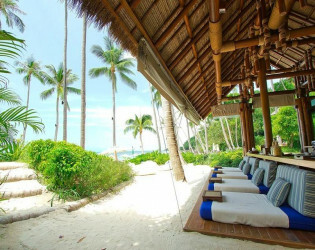 Beach Bar – conveniently located between Pla Pla and the pool area, the Beach Bar is open from 10am to 11pm daily and offers everything from tropical cocktails to soft drinks. 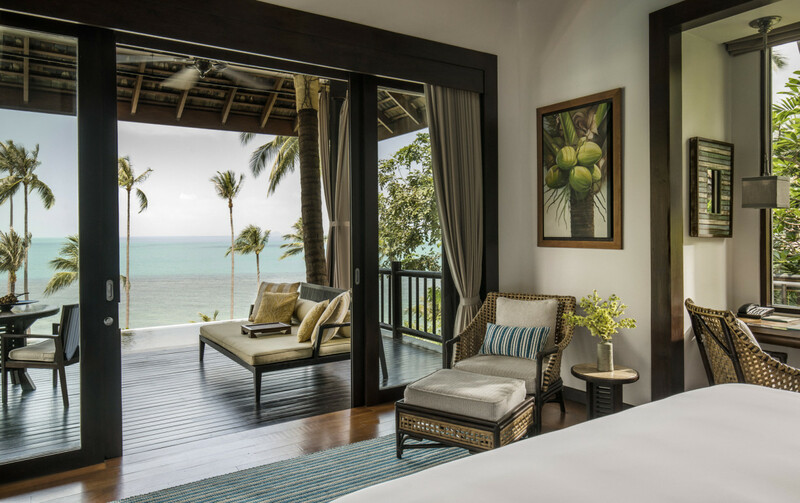 Day beds and lounge seating are conveniently arranged to take full advantage of the stunning views at the sea.